Keeping up with thousands of transactions across any company, large or small, is a daunting task. However, all those small-dollar transactions make up your travel and expense management. If you’re looking to better manage T&E, the culprits to losing cash could be more obvious than you think. Here are three travel expenses and mistakes that are making a great impact on your cash flow. According to the Association for Fraud Examiners (ACFE), fraud is just as serious as these other common business risks: supply chain, disaster, duty of care, economic, and regulatory. Although fraud is just as important, rarely is there dedicated time or resources to help manage it properly. Whether it’s untruthful expense reports or taking advantage of purchase cards, corporate travelers are finding more ways to commit fraud against their company. They’re even able to manipulate travel data and HR feeds, and steal company gift cards — all for personal, financial gain. Detailed planning and managing of employee spend can quickly uncover a company’s fraudster employees. Start by implementing strict auditing rules, ensure coding for spend is accurate, and confirming expense reports are efficient. Accounting for travel, meal, and entertainment expenses is no easy feat. Over the course of a single year, the cost of low-dollar transactions for meals and entertainment can total in the thousands. A common misconception is that M&E makes up half of a traveler’s total spend, but companies struggle to determine that exact amount. The IRS allows companies to narrow down the number based on statistical sampling, leading to a misrepresentation of exactly how much was spent. By gathering accurate data, companies could easily save money on taxes and be in a better place when defending an audit. To do so, keep detailed documentation to support each transaction, coming to an exact total. Using a corporate travel agency can help streamline this overwhelming documentation process. The Foreign Corrupt Practices Act of 1977 made it unlawful for certain people to pay foreign government officials to obtain or retain business. In 2016 alone, there were 27 corporate enforcement actions resulting in $2.3B in settlements. In its forty-year existence, this was the largest amount in one year to date. Accurate travel and expense data is critical to maintain in order to stay ahead of these corrupt actions. However, it’s even more important to have a compliance team that meets with T&E managers who oversee reimbursement to prevent further risk. Consider investing in travel technology that provides insight into employee and manager behavior when they’re abroad to help mitigate FCPA risks. Technology from a corporate travel agency can aggregate data across transaction types, making it quick and easy to pinpoint suspicious spending or travelers. 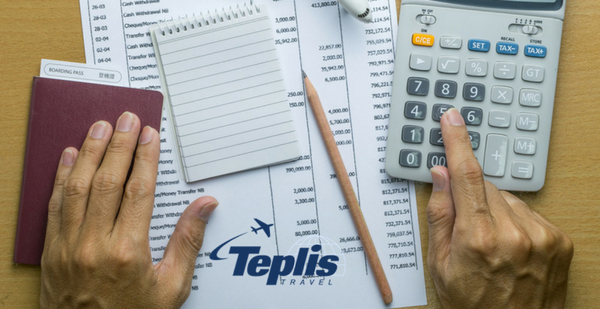 If you need an extra hand with your travel and expense management, Teplis Travel provides support with expense management tools and real-time travel reporting. We want to simplify management of your business travel program. Contact Teplis Travel today, or call 800-669-6547 to get started.